For many people in the UK, meeting the cost of retirement and paying for care in later life can prove to be a real worry, especially as we are living longer. Whatever the future holds, if you are to enjoy the later years of your life, a little financial planning and careful money management can go a long way and will mean you can put any money worries to one side. Clive Barwell offers specialist financial advice to clients in Leeds, designed to provide advice on everything from trusts and wills, through to funding long term care and inheritance tax. 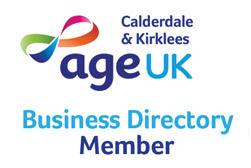 Clive knows that later life planning is all about understanding your priorities and providing you with a tailor made plan, designed to meet your individual requirements. How can Clive Barwell help you? Clive is one of the most experienced and qualified financial advisers in the later life market and he will use his expertise to offer advice and guidance on a range of issues. Whether you are simply struggling to get to grips with financial matters in general, or are concerned about paying for the cost of your care in the future, Clive will listen carefully to your concerns and establish a financial route, designed to give you peace of mind and security. Clive works closely with clients, helping them find effective long-term solutions to avoid the financial obstacles that life can throw up. If you are approaching retirement you need to understand the range of options open to you, whilst running out of money is often a concern for those who have already retired. Regardless of your circumstances Clive will act as your personal financial navigator, keeping you on a steady course, leaving you free to get the most out of life. 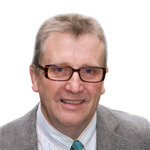 Clive Barwell is an Accredited Member of the Society of Later Life Advisers and as such he adheres to their strict code of ethical conduct at all times. This is especially important when it comes to later life financial advice as many of Clive’s clients are potentially vulnerable elderly people. By choosing Clive to provide you with financial advice, you’ll have the reassurance of knowing that the advice you receive is of the highest quality and is reliable at all times. Clive has worked as a financial adviser since 1995, following a long career in the banking industry. Throughout his career he has provided financial advice to clients in the at-retirement and post-retirement market; giving him an in-depth knowledge of later life financial advice. Clive Barwell’s later life financial advice is available to clients in Leeds and throughout West Yorkshire. If you would like to find out more about how Clive can help you avoid the financial obstacles that life presents by planning a secure route through the future, why not get in touch with him today on 0800 074 8755?